The air is cooler and the trees are thick with leaves of gold, silver and amber. As much as I favor a ripe summer peach, the sharp scent of apple and cinnamon, wood smoke and even highbush cranberries as they settle back into the earth make me one hopeful cook. On the drive back to Anchorage from Hope last weekend, I made a mental note of all the simmering stews and baked goods I'd be making in the next weeks. In the last few days, I've turned out a dark roux gumbo, osso buco with Alaska veal shanks and roasted fruit with vanilla custard. 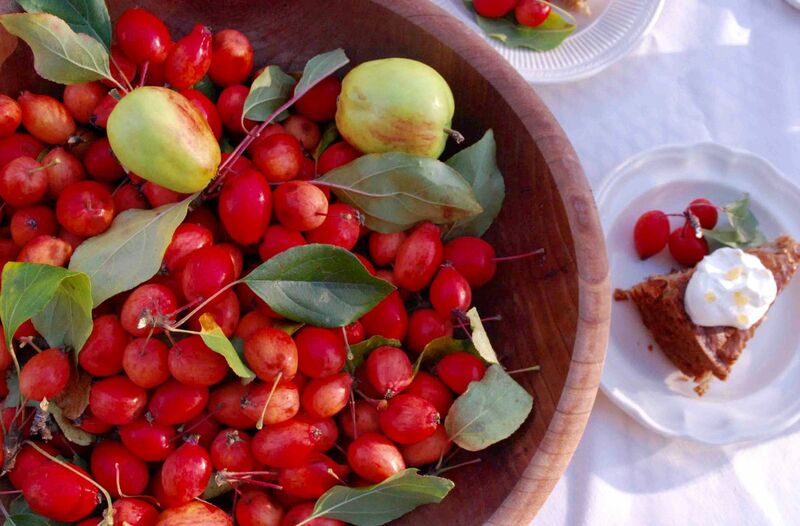 And now I'm pondering apples as I notice dozens of crab apple trees; the small, edible ruby fruit can be tart but bright and balanced and makes for delicious jelly, butter and cakes. 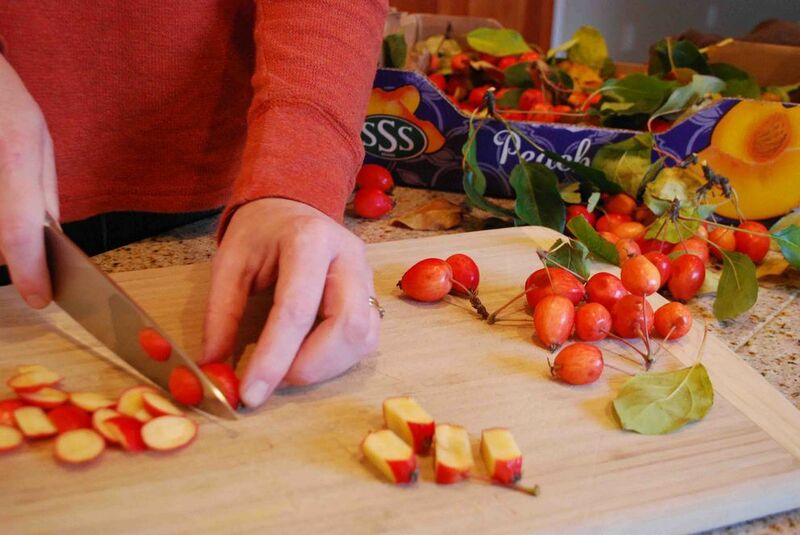 My good friend, Jennifer McGovern from Haines, is always busy in the summer foraging, picking and canning — everything from sour cherries to smoked salmon roe. 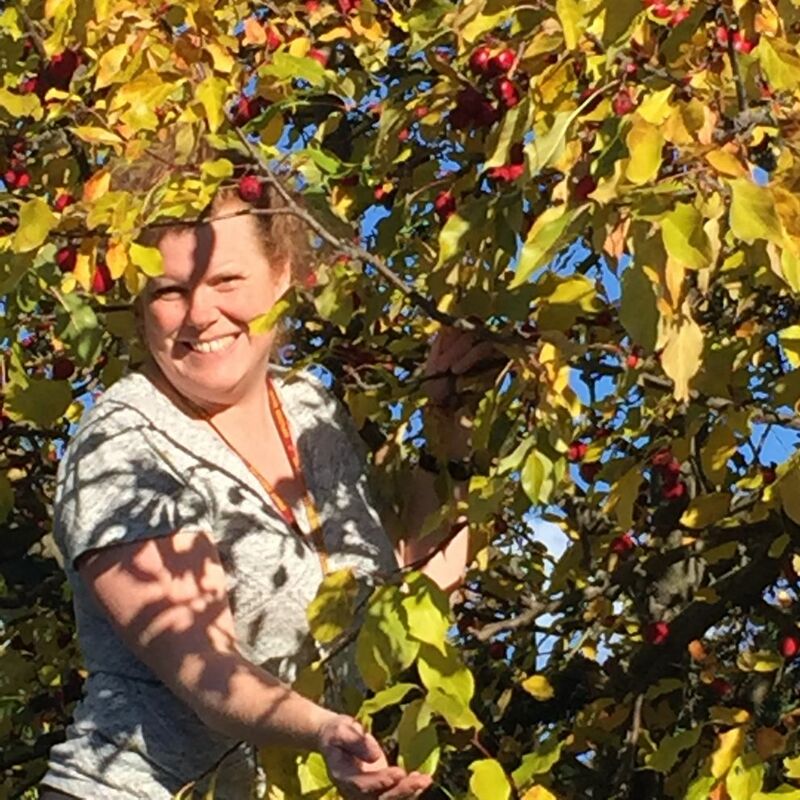 This time of year, she stalks her Anchorage neighborhood for crab apples. If I were a crab apple and had to meet my fate, I'd happily be tossed into the able hands of Jennifer. Her dark chocolate crab apple cake — deep with dark cocoa powder mixed with tart fruit — has become one of my all-time favorite fall treats. If you don't have access to crab apples, you can make this with tart and crisp Granny Smith apples. 1. Preheat oven to 325 degrees. Grease and flour a Bundt pan, mini Bundt pan or a 9-inch tube pan; set aside. 2. Using a hand mixer or stand mixer, cream together butter and sugar in a large bowl. Add eggs and beat until light and fluffy. Carefully beat in water. 3. Whisk together flour, cocoa, salt, baking soda and spices in a separate bowl. Slowly add flour mixture to butter-sugar mixture and blend well. Add vanilla. Fold in chocolate chips and crab apples and stir to combine. Spoon batter into prepared pan. 4. 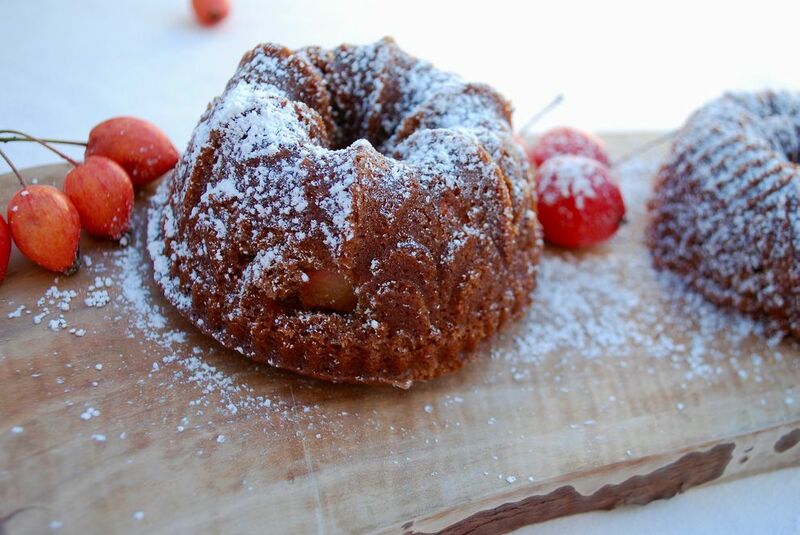 Bake one hour, testing cake for doneness by inserting a toothpick into the center after 50 minutes for a large cake, or after the first 20 minutes if making mini Bundt cakes. (The toothpick should come out clean, though some melted chocolate might stick to the tester and that's OK.) Let cool in pan on a cooling rack 10 minutes. 5. Remove cake or cakes from pan onto rack and let cool until ready to serve. Let cool completely and wrap any leftovers in plastic wrap. Serve, if desired, with fresh whipped cream or powdered sugar. Kim Sunée is the bestselling author of "Trail of Crumbs: Hunger, Love, and the Search for Home" and "A Mouthful of Stars." For more food and travel, visit kimsunee.com and instagram/kimsunee.